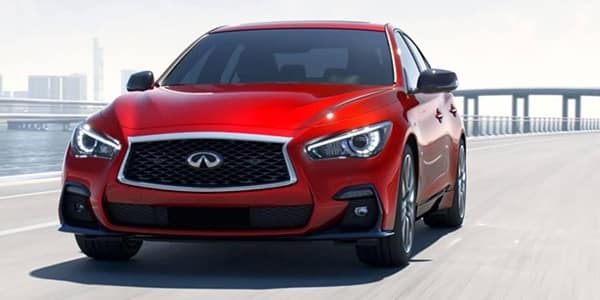 At Germain INFINITI of Easton, we strive to provide each of our clients a buying experience that’s refreshingly different from the gimmicks and games found at other dealerships. 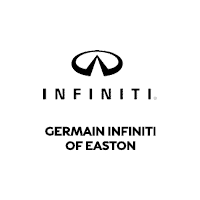 As a proud member of the Germain Motor Company, INFINITI of Easton doesn’t believe in simply “earning your business” — we believe in making you a member of the Germain INFINITI of Easton family. Personalized care and impeccable service helps us build lasting relationships with each one of our clients. Our Product Prodigies are a key ingredient to your world-class INFININI buying experience. What is a Product Prodigy? They are non-commissioned, salaried product specialists, who will give you the customized purchase experience that you truly deserve. In addition to understanding the INFINITI lineup inside and out, our team will provide you with a seamless, transparent buying process. 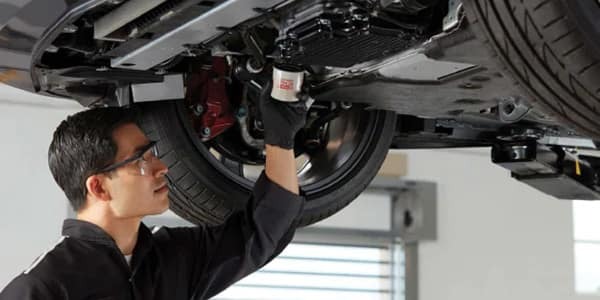 When it comes time for maintenance or repairs, you can count on INFINITI of Easton for all of your automotive service needs. Our fully-equipped Service Center has the latest diagnostic tools and specialized repair equipment to give your vehicle the attention it deserves. Having the proper facility and equipment is one of many reasons why our clients count on us for an impeccable service experience. It’s our team of factory-trained INFINITI service technicians who will use their expertise to get the job done right — the first time. Greg Schwendeman, our Master Technician, has been servicing INFINITI vehicles since 1989 when the brand first arrived in the United States. Other dealers simply cannot match the knowledge, attention to detail, and dedication to customer service you’ll find at INFINITI of Easton. When you drive an INFINITI, it’s only natural to grow accustomed to the luxury and prestige that surrounds you as the miles fly by. At INFINITI of Easton, we provide each of our guests with an array of premium amenities to match the world-class INFINITI experience. INFINITI Courtesy Vehicles – Have an appointment you can’t miss? Our clients have access to a fleet of 15 INFINITI Courtesy Vehicles to help you get where you need to be while your vehicle is in for service. Concierge Service – Our pickup and drop-off transport service makes getting your INFINITI service both convenient and hassle-free. Complimentary Wash & Vacuum – Nothing is more rewarding than driving a vehicle that looks as good as it drives. This is exactly why every vehicle receives a complimentary car wash and interior vacuum (weather permitting) once service has been completed. Luxurious Service Lounge – We cordially invite you to relax and unwind inside our spacious and luxurious Service Lounge. Enjoy complimentary refreshments including fresh pastries, premium coffee, and other snacks. Convenient Online Service Appointment Scheduling – Choose the time and date that best fits your busy schedule, all from the comfort of your home or office.